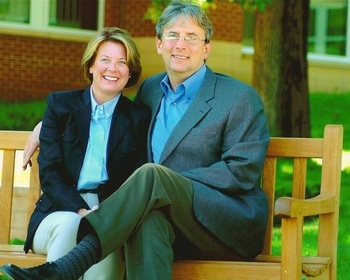 Dr. McNamara is a native of Saint Paul and has been practicing in Mendota Heights for the last 25 years. He resides in Apple Valley with his wife, Jaymie, and their four children, Bobby, Molly, Andrew, and Rachel. He enjoys golfing, biking, and spending time with his family. He also has been involved in many of his childrens' sports activities through Minnehaha Academy, where he was a school board member for five years. He enjoys going on missionary trips to Honduras through his church, where he is also involved with the youth groups. 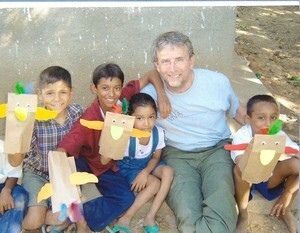 Dr. McNamara recently (Nov 2010) went on his 4th trip to Central America. His son Andrew was also on this trip to southern Honduras where they worked together with the people of San Jose and fourteen other team members from the United States and Honduras. They built latrines in order to improve the sanitary conditions of the village. This has a direct impact on general health of the villagers. Please feel free to ask Dr. McNamara about the trip or for more information about the organization that facilitates these trips-go to aguavivaonline.org. There is a story that goes with each trip and photos, too. More adventure for Dr. McNamara and this time with his wife, Jaymie and their 17 year old daughter, Rachel, as they traveled to Kosovo(the former Yugoslavia) to minister to the needs of the widows, orphans and poor who are trying to rebuild their lives after the Balkan war of 1999. This trip was facilitated by the nonprofit, Discovery Ministry, who has been traveling to Kosovo since the war and has led groups to work together with the native Kosovars to improve the school, individuals’ homes and many other much needed improvements. It was an eye opening experience for Dr. McNamara and his family and 27 other people as they entered a very different culture(99% Muslim) and language(100% Albanian-although they loved to practice their English with us!). Feel free to ask Dr. McNamara about this trip and for more information about the organization that made it possible-go to Kosovopartners.org. There is a story with every photo!